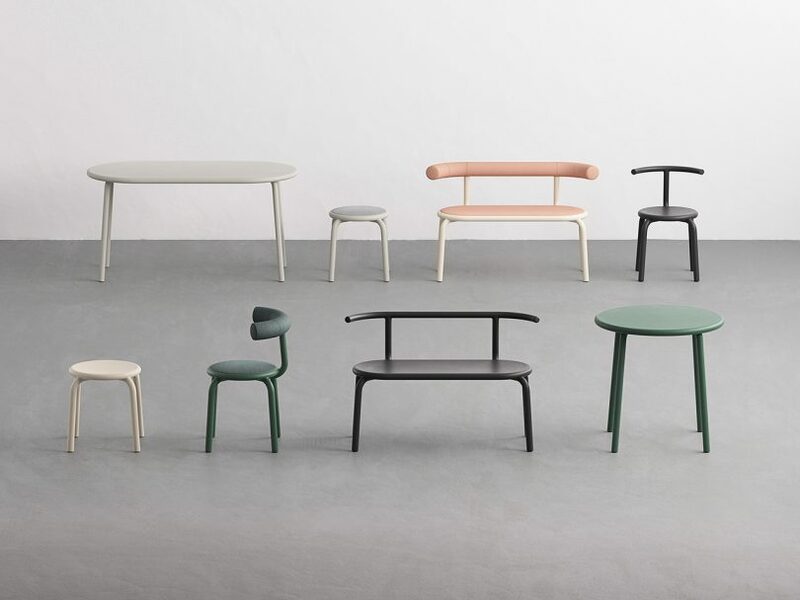 +Halle and Form Us With Love hope to encourage conversation and open up communication through the freedom of movement with their latest, the Torno collection. The lightweight, durable series is designed to create break-out areas in public spaces with a theme of mobility. “With Torno, you can facilitate a terrace, lounge, square, or dining space, based on a flexible system. When we first prototyped the series we mimicked the behavior of a rotating set of activities, where work and leisure time tends to blend,” Jonas Pettersson, co-founder and CEO at Form Us With Love says. The Torno series includes chairs, stools, sofas, and two different sized tables, the designs of which encourage individuals to interact with them in a variety of ways ? frontward, backward, etc. The lightweight aluminum pieces allow people to move and reconfigure the furniture’s setup, making the space their own. The Torno collection can be used both indoors and outdoors, with a range of upholstery options to choose from, making the collection easily adaptable to all types of spaces.